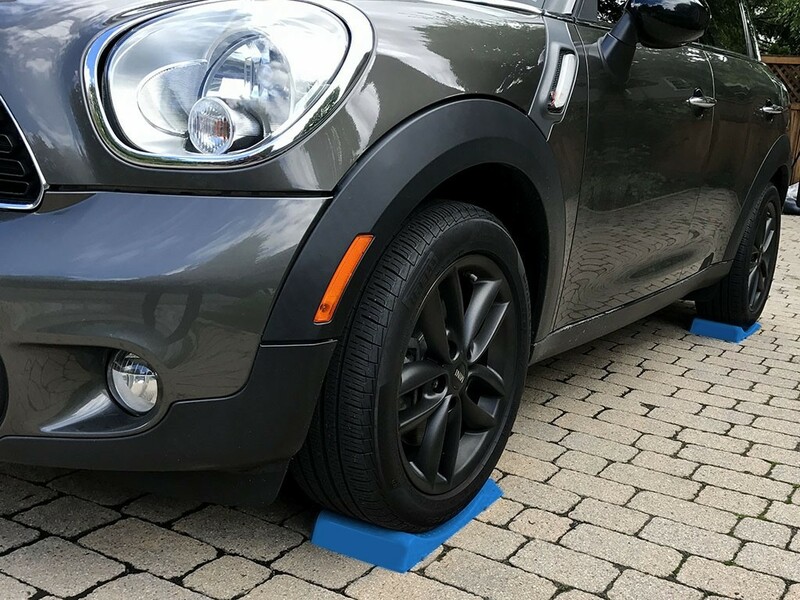 Are you tired of flat spots on your tires? Do you leave your car parked inside or outside for long periods of time? 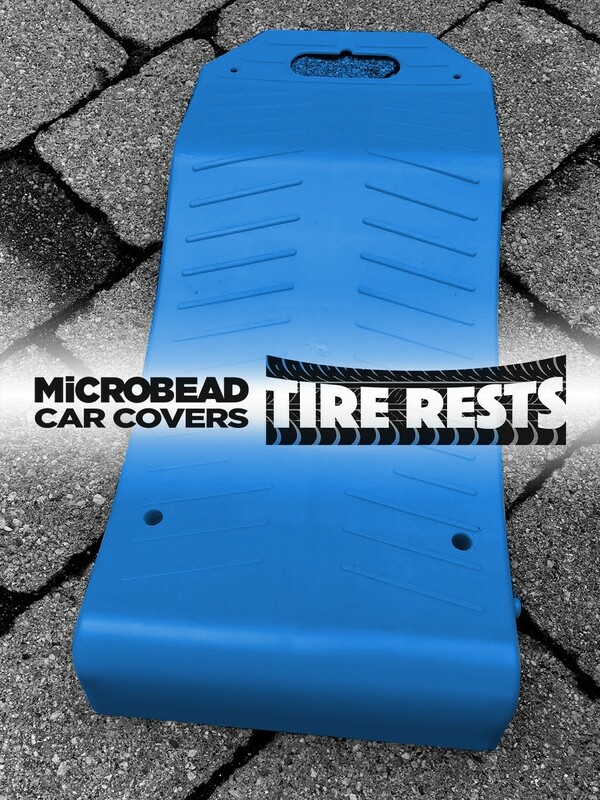 If so, you need Microbead’s newest car storage solution – Microbead Tire Rests! 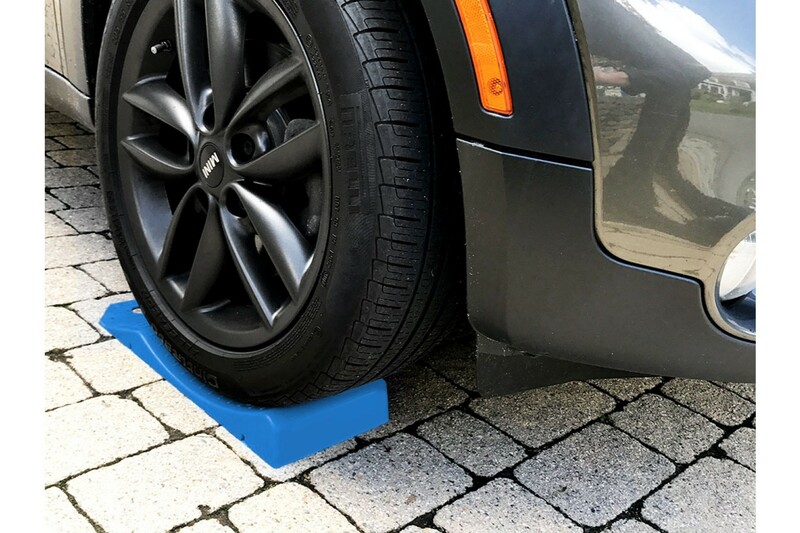 Our new Tire Rest product allows you to drive up and rest your tires on a slightly concave surface so that your tires remain round while you have your vehicle parked. 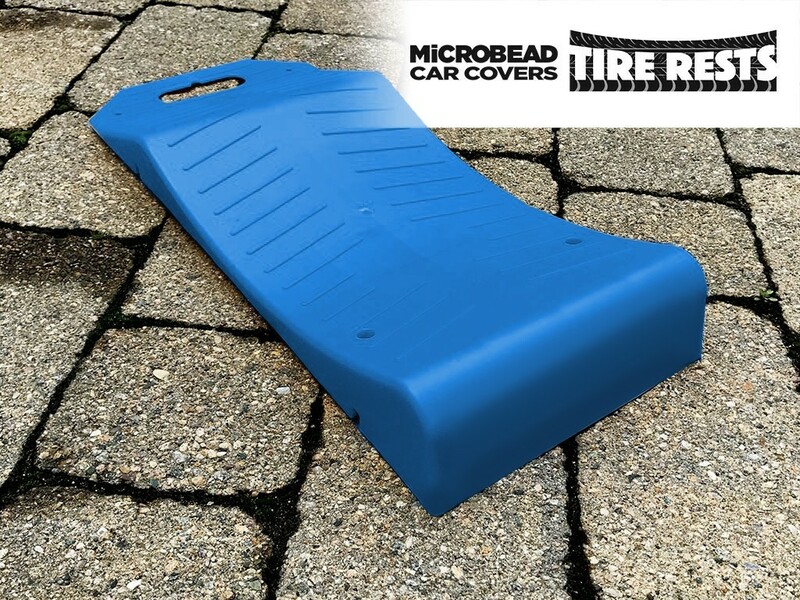 Customers have raved about this new product and we have received amazing feedback on our design at car shows. 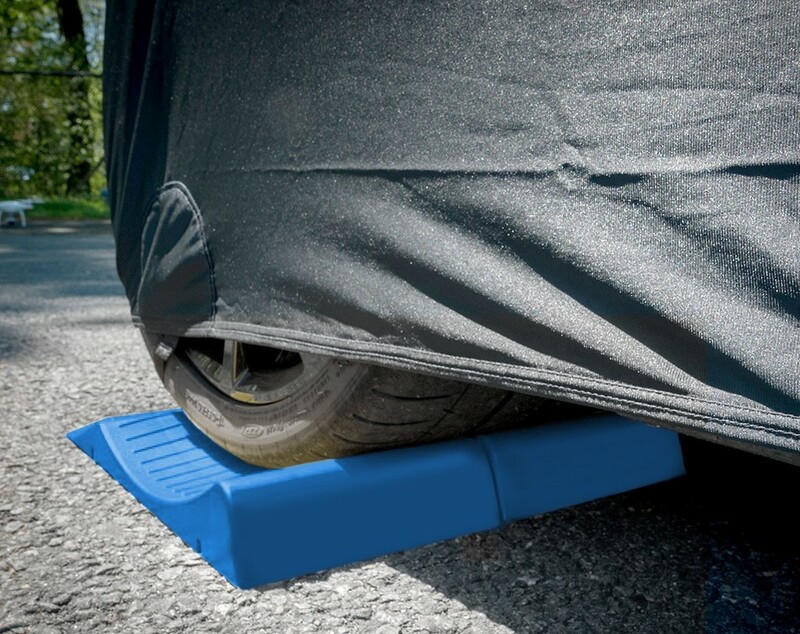 These low profile rests are perfect for any vehicle, even vehicles that sit low to the ground and have low clearance. Sold in a set of four (one for each tire). 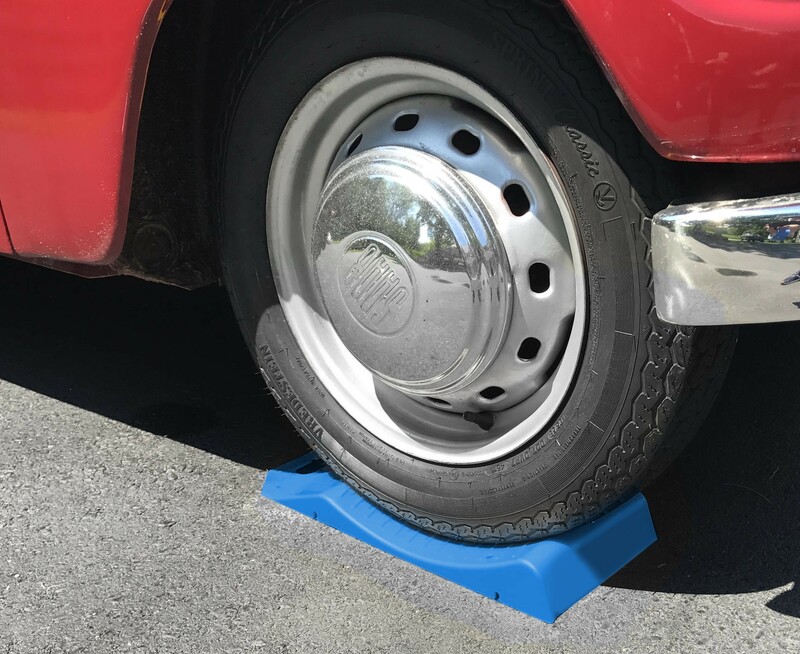 Our “Standard” Tire Rest Size ($95 with Free Shipping*) will fit wheels up to 250 mm wide (with a slight tire overhang) or get our “Wide” Tire Rest Size ($160 with Free Shipping*) for extra wide wheels of 255mm to 440 mm wide. Need to know the width of your tires? Just look on the side of the tire and read the numbers and the first big number will be the width in millimeters (example “205/55/17”). Weight limit 2 ton. 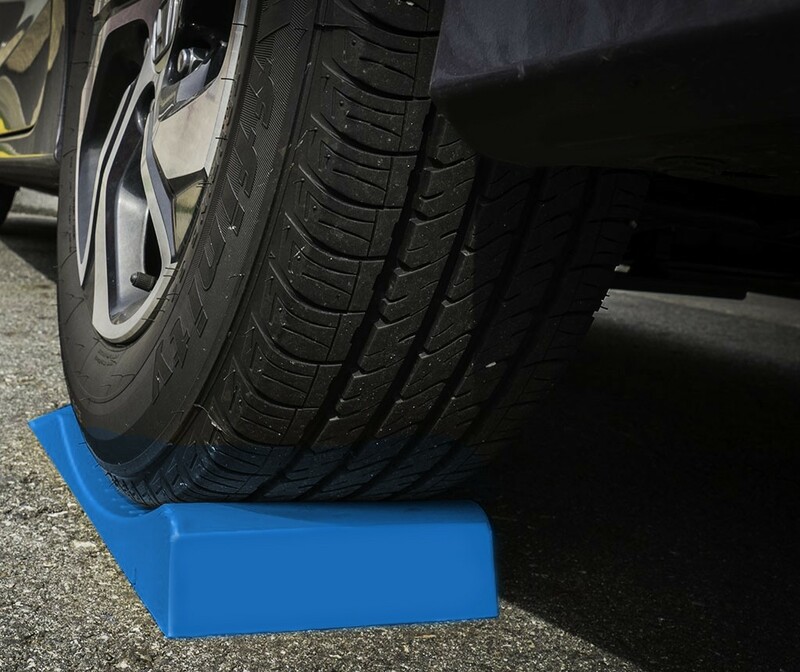 Compare to other tire saver products selling for $300 and $400! 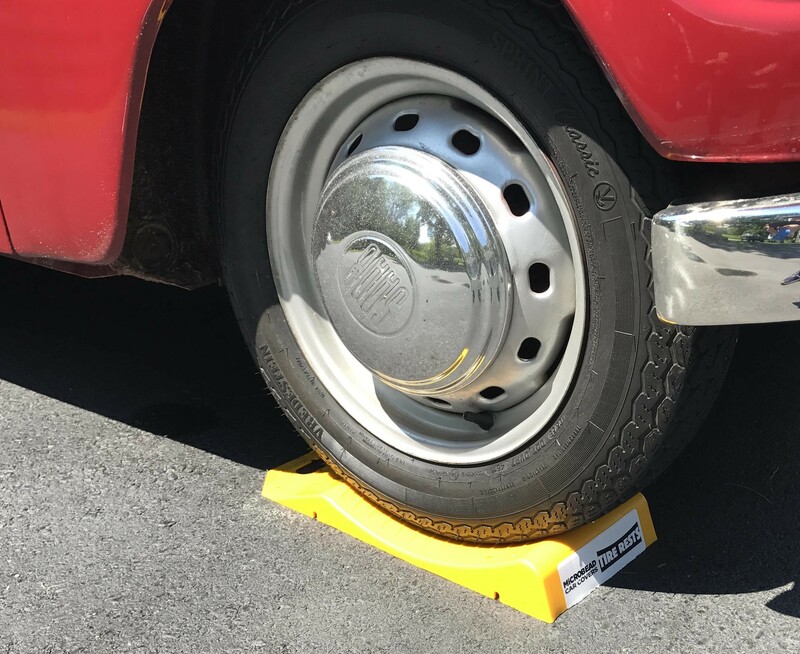 Four mounting points in each tire rest to that can be secured to your garage floor, trailer, etc. 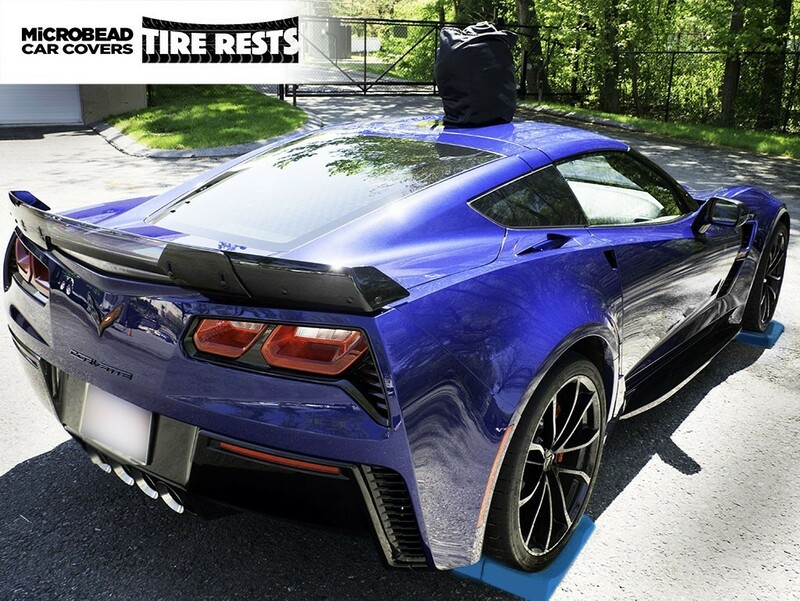 Each Tire Rest measures 19.5 inches long, 8.25 inches wide. 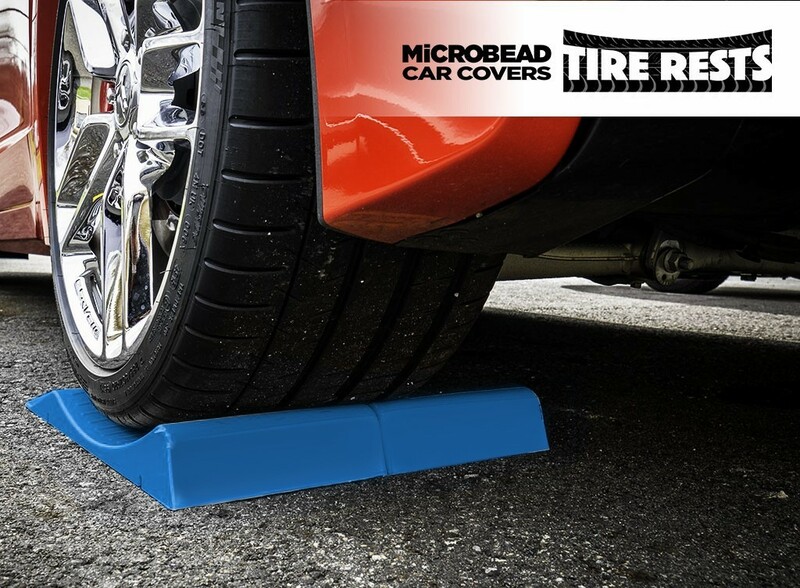 Our Tire Rests feature a middle arch height of 1 inch and an end arch height of 1.875 inches - great for cars with low clearance! Order today and we will ship ASAP. 100% satisfaction guarantee or a full refund. 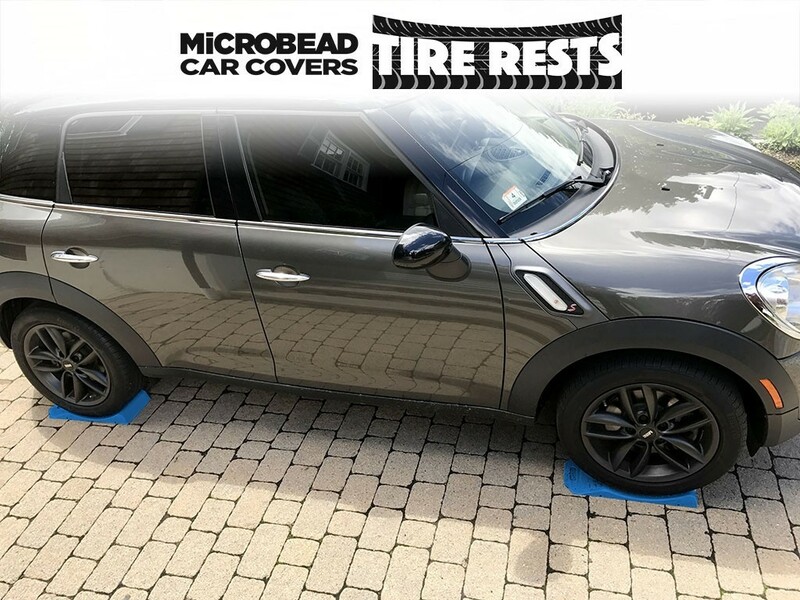 Please note: When installing your Microbead Tire Rests, if you have a slippery floor or surface and you experience the Tire Rests sliding, you can use a tape or adhesive to secure them or contact us and we will send you some foam rubber to place under the Tire Rests to help prevent any slip. Thank you! 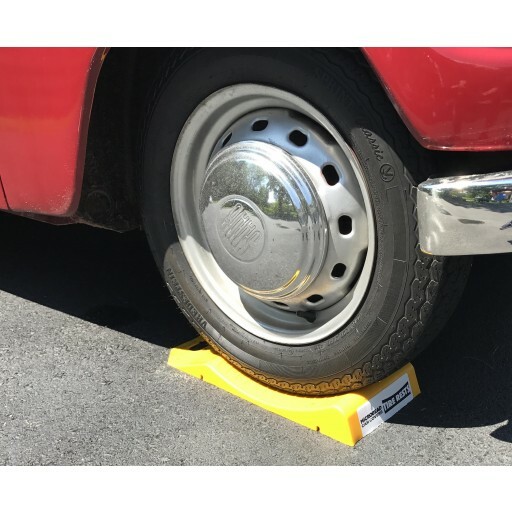 *What vehicle(s) will you use these on? 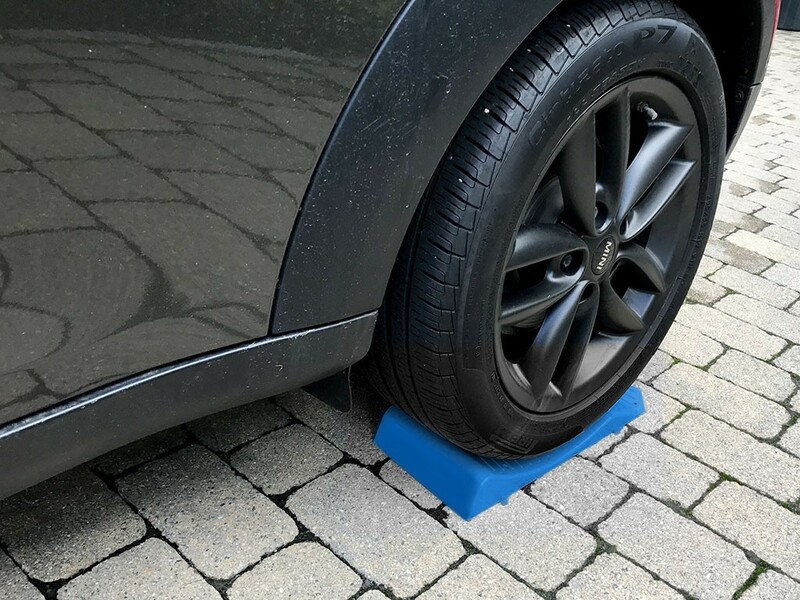 *Do you need Anti-slip Tire Rest Grips?